There are many different options for your swimming pool tile. Read on for more ideas about slip-resistant, durable, and beautiful tile for your pool. If you have a swimming pool, chances are you take a lot of pride in it. A pool can provide a great place to cool down in the hot months and a space where you can rest, relax, and enjoy the company of family and friends. Creating a unique look and feel to your pool can involve landscaping and the tile you put around your pool or patio area. Swimming pool tile comes in a variety of colors, shapes, and sizes. You can decide on the swimming pool tile you want the most based on your space, the size and shape of your pool, and the colors and patterns you like the most. There are a ton of different options for your swimming pool tile. 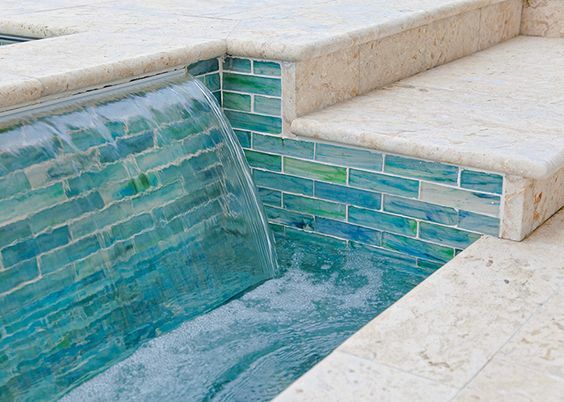 The material, color, size, and positioning of the tile can all be used to create an envy-worthy pool. Whether you have an above ground or an in-ground pool, circular, geometric, or freeform, you can use tile to emphasize different aspects of your swimming pool. There are a few popular tile positions that you can use on your swimming pool. One is the waterline tile, which is when a strip of tile is placed at the level of the water in your pool. Another tile position is coping, which is the overhanging edge of the pool deck. 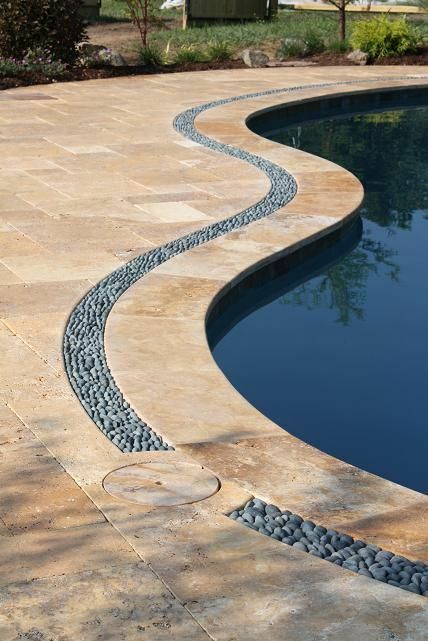 Coping can accentuate the outlines of your pool and create a smooth, colored boundary at the edges. A raised bond beam can be used to smooth out the appearance of a pool shell or bond beam that is above ground level. If you want to hide the edges of your pool in a way that doesn’t detract from the pool’s look, lining the edges with tile can accent the pool’s edges and make this space easier to clean. If you have added waterfalls, fountains, or other water features to your pool, swimming pool tile can highlight this area and resist discoloration. A tile back splash and lighting can make your pool and patio area glow for a serene atmosphere. If you don’t like the look of traditional plaster pools, adding in glass tiles to the interior of your pool could help create a beautiful and colorful swimming area. Some recently popular looks have been turquoise pools that use blue tiles to line the interior of the pool, giving it a deep and reflective look. 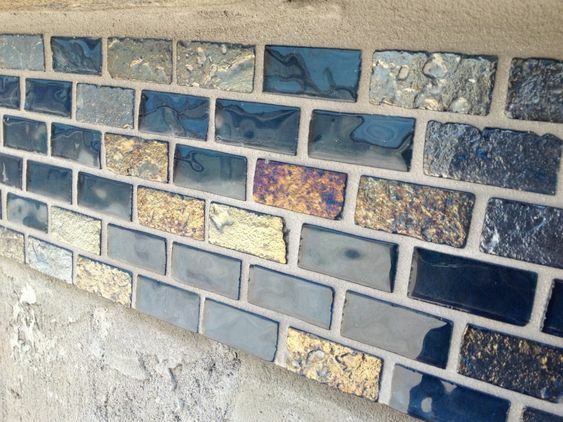 Traditional tile materials include glass, porcelain, ceramic, and slate. They each have their pros and cons, but can add vital character and usefulness to your swimming pool space. Glass mosaic tiles can add color to your pool as well as create a seamless design. This kind of tile work eliminates the lines regular tiles create. 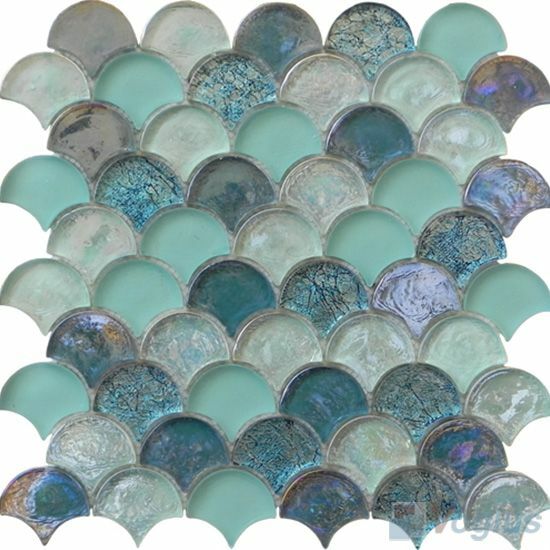 Glass mosaic tiles can also help disguise mineral build up in your pool from the water. Glass is, however, vulnerable to scratches. Porcelain tiles are clean, durable, and versatile. These kinds of tiles can also be slip resistant, allowing you to create a safe swimming area for your friends and family. Stone tiles like slate tend to be brittle, but you can find tiles that mimic the stone look without breaking the bank. Ceramic tiles are also popular but require expert installation. All tile installation is challenging due to the grout work, which needs to be done perfectly in order for the tiles to maintain their watertight nature and stay in place. Waterline tiles can be incredibly ornate. 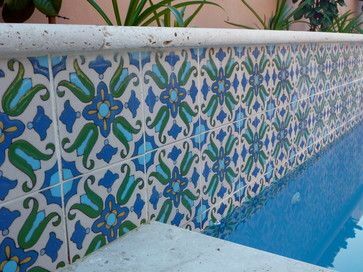 Mosaic tiles can be placed in or above the pool for a colorful boundary. Unique tile shapes can add character to your pool. 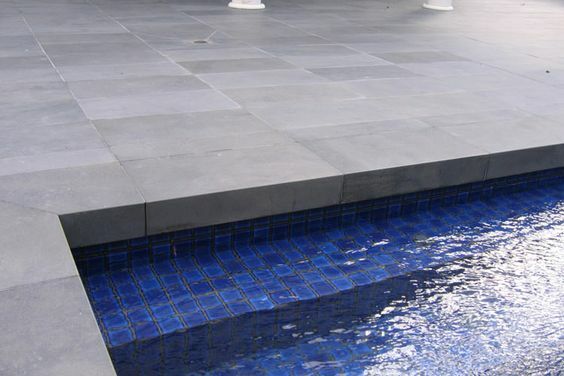 Non-slip tiles can create a safe space around your pool. 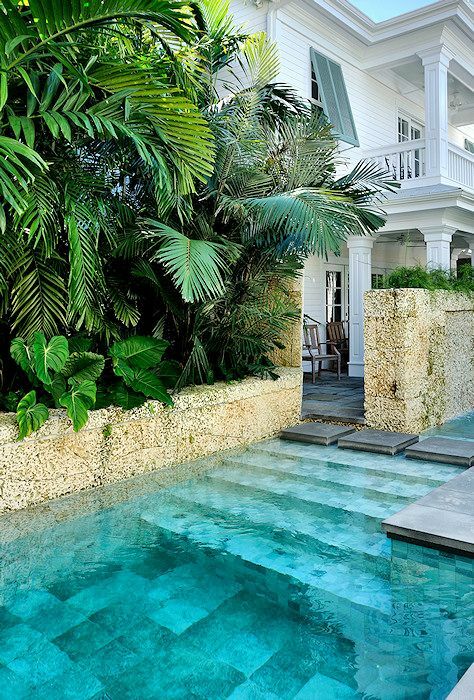 Small, glass tiles can create depth to your pool’s look. 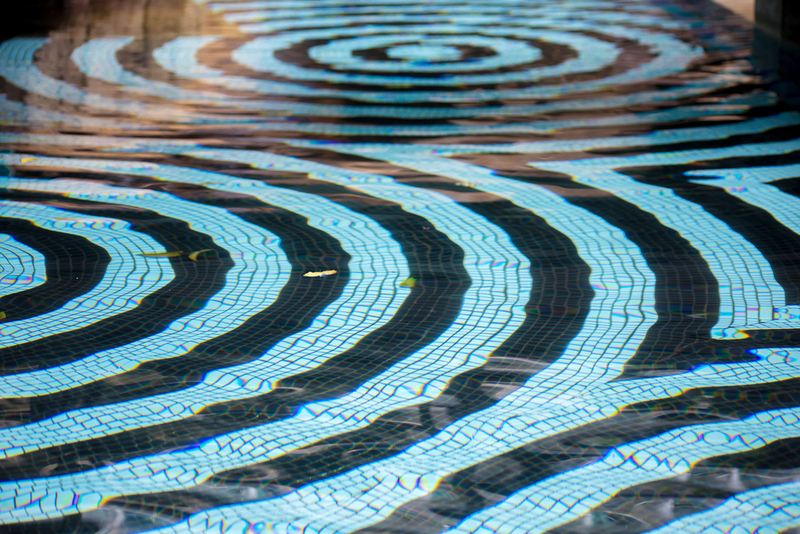 Different colors and shapes of tiles can create diverse pool patterns. 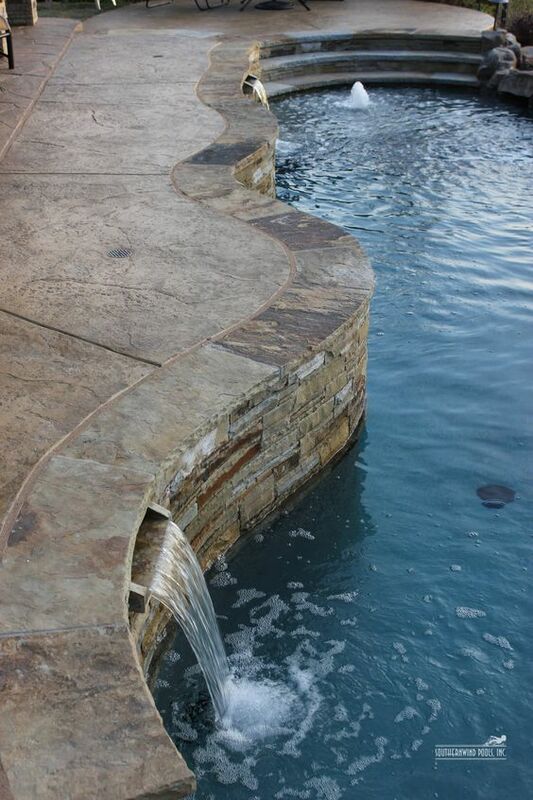 Swimming pool tiles can be used to accent a water feature. Swimming pool tile can also be used to showcase the shape of your pool. 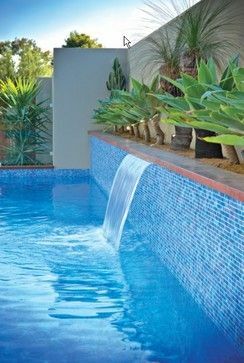 Blue tile can be used inside and outside of your pool. 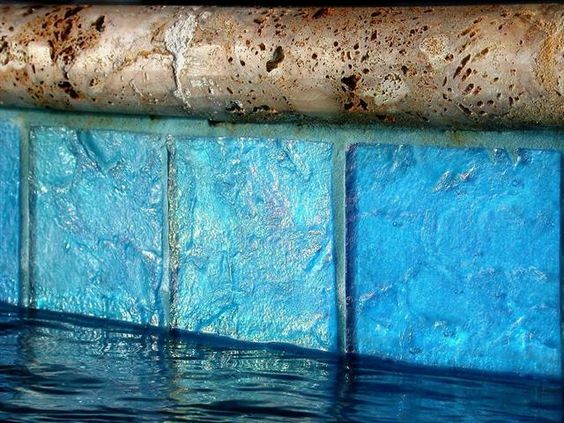 Waterline tile can resist mineralization from your pool’s water. Spanish mosaics are a popular tile option. 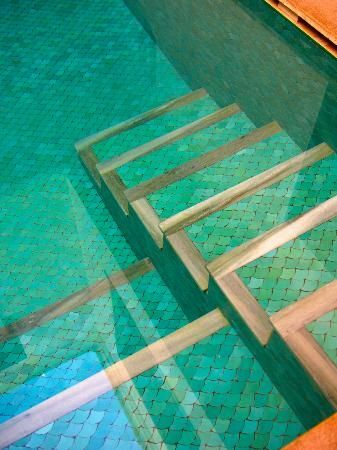 Light tiles can highlight a swimming pool’s entries and exits. Stone tiles can create a natural look for your swimming pool. 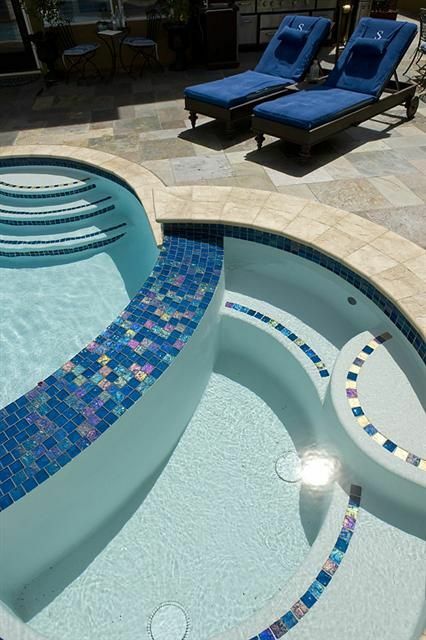 Swimming pool tiles can accent your pool’s shape. 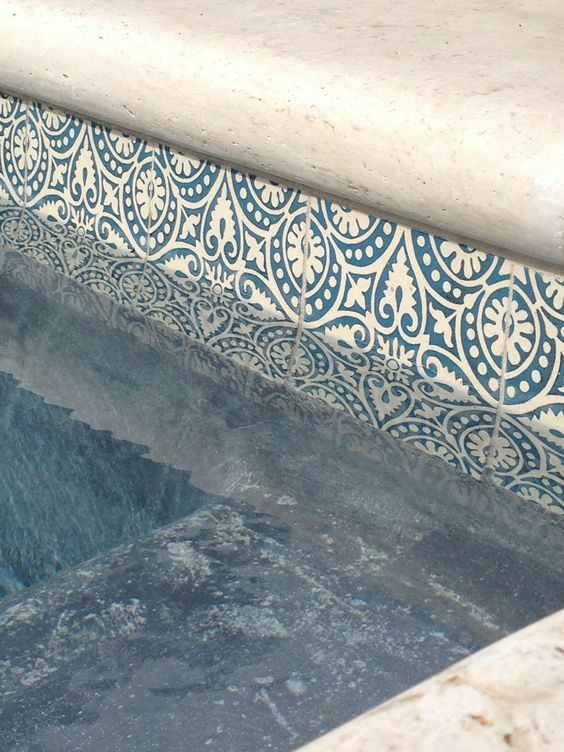 Other materials in your pool can accent the tile work.